Ever since the release of the first motion picture, we have been hooked to watching movies. It is a primary source of entertainment in most lifestyles. Today, a large number of movies are released every week all around the world. With the advancement in technology, the cinema industry has completely revolutionized. Along with better camera and shooting techniques, how masses watch movies has also evolved. From magnetic tapes, to VCD , DVD, BLU RAY, and now in the time of fast and reliable internet easily available, people are now inclined to stream movies directly to their homes where they can enjoy them. No need to go to a rental store and a cinema hall. Movie streaming sites are the future of movies. But this technology is still new and many websites that let you stream movies may be a little buggy or not have proper movie collection. If you are also looking for a movie streaming site, then do not worry as we have the best sites where you can stream movies. We have reviewed them for you so you may know about the service as well as performance for choosing the right movie streaming site according to your need. List Of Best Movie Streaming Websites. 4. Amazon Prime – Instant Video. Given below are the best movie streaming sites on the internet from where you can stream movies and watch on any if your devices. Netflix is the world’s most popular and the best in all movie streaming sites. There is no way any other movie streaming site can ever compete with Netflix. There are 70 million subscribers and the content is unbelievable. You’ll also find Netflix’s own production which are also worth watching. YouTube is the best video sharing platform that works on all devices. People have always been wanting to watch full movies on YouTube and their wish has been granted. YouTube allows renting and purchasing of full length movies. It is one of the best site to stream movies. Tubi Tv has production names like MGM, Paramount pictures, Lions gate and others funding it. Hence, the site offers a great catalogue. This makes it a very good choice in movie streaming websites. It also works on most devices. 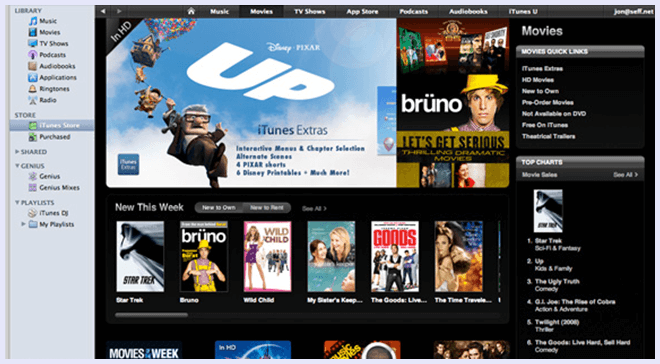 Amazon is one if the biggest online brands and it offers a great online movie streaming service. 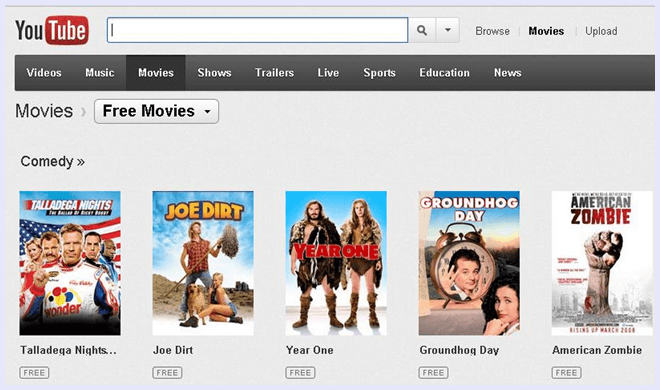 It allows users to buy or rent latest movies and the catalogue is huge. You can also stream unlimited content if you are an Amazon prime customer. Hulu is a joint venture of some major Hollywood networks like ABC, NBC AND FOX. Hence, Hulu plus offers a huge variety of high quality content. It also features some international cable channels and content. Almost everyone has used apple products. We all are aware of the iTunes ecosystem. And it is the best place to stream movies. iTunes works on a rental model where SD movies start as low as $1.99. It is a must use service especially on an Apple device. Google play is the Google’s competition to Apple in the field of movie streaming. It works on Chrome browser as well as all Android devices. You can both purchase or rent movies and TV shows from anywhere in the world. It works very smooth. Epix is a USA cable channel that has an online on demand service that lets you stream movies. It acts as a hybrid premium channel having production partners like Viacom, Lionsgate etc. The only downside is that you need the subscription to the cable channel to access the content. Snag films is known for the coolest layout of its catalogue. This free service is for those who want quality over quantity. It is the most organised movie streaming site. Do give it a try. Crackle is another movie streaming site offered by Sony. It has a wide collection and archive of movies along with some recent releases. It offers some original content as well as some of the well known titles. The TV shows catalogue is also worth mentioning here which contains best shows like Seinfeld. In conclusion, these are the best movie streaming sites where you can stream movies and watch on any device. If you think we have missed a service, please share with us in comments below. Also tell us what your favourite movie streaming site is. Share this article if you find it useful.